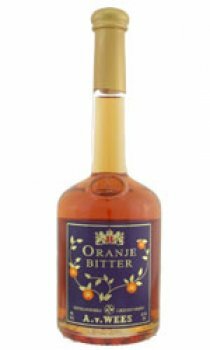 Oranje bitter is a drink developed in the 17th century in order to celebrate festivities of the Dutch monarchy. It's distilled with several types of oranges. In the 17th century it used to be sweet (liquor), in the 18th and 20th century it was made without any sugar. Nowadays people tend to prefer sweet so 10% sugar is added.